New to Specialty coffee? Do you wonder why you can't get the quality of coffee you want at home? That often leads to frustration: 'but we spent so much money on a new coffee machine', or ' we do all the cleaning we should and it still tastes burnt' or even: 'we went to a coffee course, we know how to make coffee but its still not right'. Did you know that choosing the right bean is as important as the right equipment and training to the formula of great coffee? 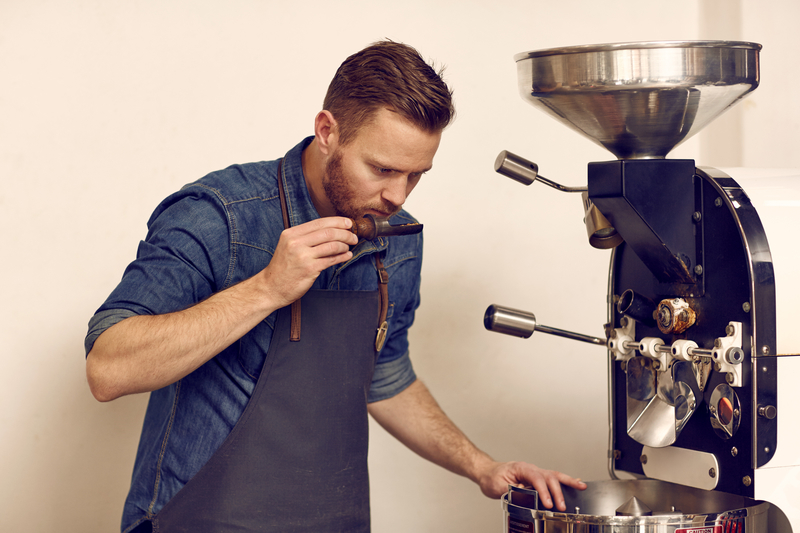 It is true, coffee is a matter of taste, but there are some guidelines to follow if you want to produce the best flavours from your newly purchased gear. Coffee doesn't have an expiration date. It is an extremely perishable food product, it changes chemistry as a reaction to oxygen, moisture and heat. In this process it ages and goes stale. Coffee allows us to extract aromatic oils, sugars and soluble from it only when its fresh. You are best to consume your beans no later than 3 weeks from roasting date. Most supermarket coffee would not have roasting date on its bag as sometimes it has been roasted weeks before the coffee is bagged, shipped and land on the shelf. This is the most important criteria in your decision making. In fact no matter the brand, the type of coffee or the shape of the bag, if the coffee has been roasted over 3 weeks ago, it's unlikely for you to enjoy much flavours at all. It can be stale, flat, woody, astringent, starchy and even muddy, lacking the complexity, vibrancy or balance expected in fresh coffee. And if you make espresso, it may not produce that desirable thick golden honey crema we like on top. So where can you buy fresh beans? If you shop in your local Deli and you can't find roasting date on the bag, just ask. If you don't know the answer, don't buy. Not only because it's likely to taste stale, but also because not knowing the age of your beans leads to confusion and puts any experimentation in coffee on hold. Age, similarly to other criteria below, will help you to build your knowledge base of your preferences and focus your purchases only on the beans age that meets your palate's approval. No doubt buying from your local roaster will increase your chances for freshness. Chat to the roaster and learn more about your beans, what age are they, how are they stored, how they were cultivated etc. The more you know about your beans the more knowledgeable choices you will make. If purchasing online is easier, make sure you purchase your beans from a business you know and trust. Note if they advertise being a Specialty coffee, check if they roast their beans on the premise (better quality control). Check any education they provide: articles, blog posts, coffee appreciation events, how to guides, detailed beans profiles, stories from origin, and anything that shows how passionate they are and proud with their beans freshness. Most Specialty coffee businesses nowadays mark their bags with roasting date. are widely produced and sold are: Coffea Arabica and Coffea Canephora (also known as Coffea Robusta). Arabica consists of 75% of total world production. It usually grows in high altitude, presents a delicate cup and is much more prone to diseases. Robusta on the other hand, is a harder bean, resistant to pests, grows in low altitude, has more caffeine than Arabica, presents a bigger body, thicket crema and lacking complexity and refinement Arabica has. Many coffee companies overseas exporting their coffee worldwide including to Australia, use a significant percentage of Robusta in their blends to prolong its shelve life and to make consumers pleased with the thickness of the crema it produces. Alas often it's on the expense of complexity and vibrancy in the cup. Hence why most Speciality roasters advertise 100% Arabica beans to indicate higher qualities in the cup. With modern technology, some Robusta growers are starting to produce higher quality beans but it's still quite limited, not as refined and is used mainly in blends rather than on its own. We are often asked: does altitude make a real difference? Would I be able to tell a difference between a wet processed beans to a dry processes bean? You may or you may not. If you drink your coffee with milk, any coffee attributes are likely to be washed away. But if you are an espresso or black coffee lover, your palate might be more sensitive and picking up the nuanced differences. 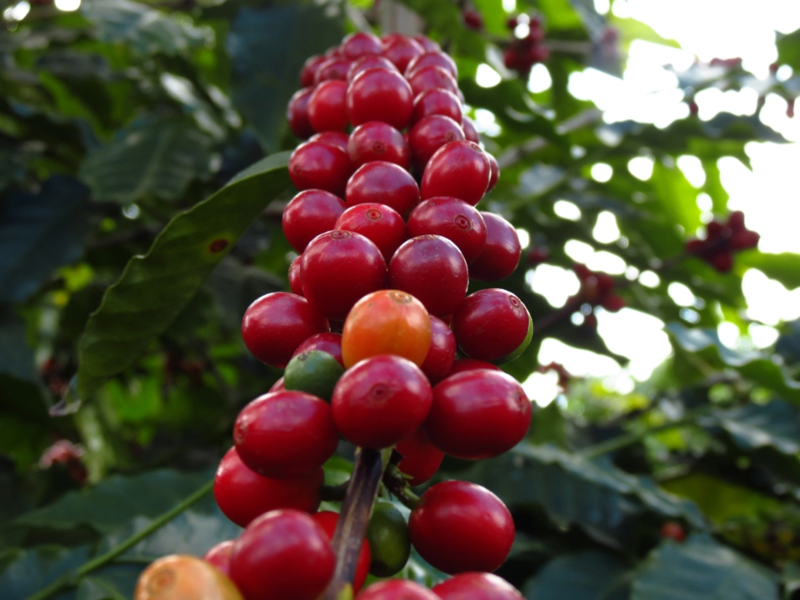 Growing conditions as well as processing methods have massive impact on cup quality. Ideal growing conditions are high altitude, shade, natural mist and cloud cover. Arabica is grown over 1,000m acl. The Rainforest leafs provide a mulch as well as protection from wind and add sweetness to the coffee. Cherries must be picked when they're just ripe and juicy. If they’re green, coffee will be thin and sour, if they’re too ripe, it may already begun to ferment. Naturally processed coffee, has the cherries laid on drying beds with full air flow to dry. Sugars and flavors concentrated in the fruits imparting heavy body and intense yet refined taste. With washed coffee, cherries are firstly pulped, then fermented in water for 3-5 days. That process enhances the acidity and floral aromatics of the coffee. If you are a lover of heavy body coffee and like the sweetness in the cup, you may like Naturally processed beans, But if you like fruity intricacies, refined flavours and strong aromatics, washed coffee might become your favourite. Single Origin or a Blend? Single Origin is a bean that comes from one single estate. It has its own distinctive flavour and may not be over complex or balanced. A blend is a mix of several single origins and has a more complex profile the roaster has designed to achieve certain sensory expedience. Blends are usually heavier, and cut better with milk. Which one is better? There really isn't a correct answer. Most roasters will offer both. The purists might argue that you cannot beat a great single origin coffee, particularly if consumed black. On the other hand, most coffee companies in Australia sell blends, with the view of delivering more complex tasting coffee to Cafes and consumers. A coffee with good mouth-feel for example, can use great aroma from a different bean, and an long aftertaste from a third bean. Coffee aficionados love tasting single origin coffees for the nuances in those coffees, but if you like big flavour balanced coffee and you have it with milk, you may appreciate the mouth-feel, aroma, aftertaste, good crema, acidity and smoothness, without the bitterness. Blends can be blended post or prior to roasting. Some believe that blending pre-roasting can achieve a unique coming-together of flavours that cannot be achieved by roasting individual origins then blending. Beans that have been blended before roasting have similar colour. Others believe that you can only maximise the flavour of each origin when you post blend, as different size of beans, with different hardness or moisture content will need different time in the roasting chamber. Beans in a post blend will usually have different colours. The degree to which coffee beans are roasted is one of the most important factors that determine the taste of the coffee in the cup. The most common roast level in the coffee industry in Australia nowadays is medium roast, or ’City Roast’. Believed to be the most suitable roast level for Espresso. However, with the booming of alternative methods of brewing to espresso that can deliver 'cleaner' coffee with more intricacies and nuances in flavours, notes and aroma, we see more and more coffee establishments using lighter roast beans with Chemex, Pour Over or Cold brew brewers. Medium roasted coffees have more body than light roasts. Like the lighter roasts, they have no oil on the bean surfaces. However, medium roasts lack the grainy taste of the light roast, exhibiting more balanced flavor, aroma, and acidity. Caffeine is somewhat decreased, but there is more caffeine than in darker roasts. Ultimately, it’s all about the taste and aroma. Light roast coffee is better brewed with makers like Chemex, V.60, Cold brew and Siphon. Medium to dark roast are better experienced as espresso, stove top and plunger. You may prefer a lighter roast in your morning Chemex, (with more caffeine) and a darker one later in the day. Optimal roast level is a personal preference. Do you know what roast level are the beans in your hopper? 4. Espresso machines - Espresso: any medium roast from the heavier naturally processed to lighter more aromatic beans. From earthy, tobacco or spicy notes like the Monsoon Malabar to the vibrant, winy and fruity notes in the Ethiopia Limmu. It all goes, whatever makes your palate sing! Nothing is set in stone with coffee. You can start your journey with these recommendations and then take your own direction as you're mapping out the different coffees, getting some insights into what you like and what you don't. But now, you may also understand why and you are able to make informed decisions with your next purchase. If you wanted to know more about our coffees beans, click here. We are really passionate about matching a bean to a palate so why not giving our friendly staff a go and ring us up / chat live to us online for a match? » Your Machine is Finally on The bench. What Now?